Although Adobe has always been a leader in creative software, their programs often lose out to good old pen and paper when a creative idea strikes. Adobe is taking a first tentative step into the realm of hardware with a pair of tools they call Ink and Slide. 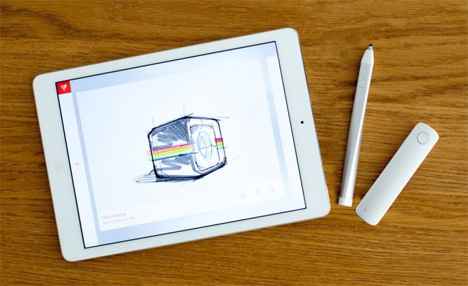 The two come as a set and work with iPad apps Sketch and Line, both designed to make the creative process simple and intuitive. Ink and Slide are a stylus and a slide rule, respectively. The lightweight brushed aluminum tools are minimalist and futuristic in appearance, matching the Apple products they are meant to be used with. They both have white plastic accents and a single button which changes their settings within the associated apps. Ink has a pressure-sensitive hard plastic tip that lets it move easily across the iPad’s screen. 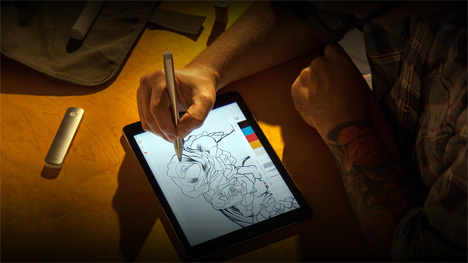 It works as a stylus with any iPad app, not just Adobe’s creative software. 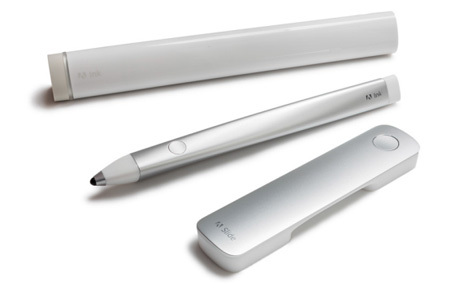 Within Sketch and Line, however, the stylus can be used to draw with a variety of in-app brushes and other drawing tools, and add personalized ink colors to your creations. 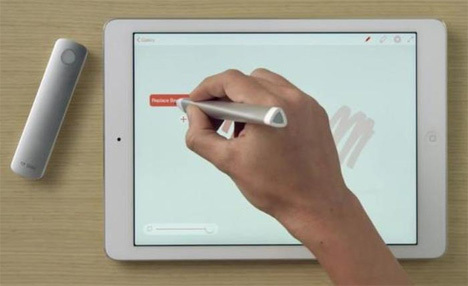 Slide sits atop the iPad’s glass and helps you draw perfect lines and shapes with the Sketch and Line apps. Inside, three magnets let it interact with the iPad: two at the ends tell the iPad that the Slide is there while a middle magnet makes contact when the Slide’s button is pushed. It’s a ruler, a drawing aid, and a shape stamping tool that switches functions with a few pushes of its button. The duo of Adobe tools comes in a case that is also a charger with an LED ring that glows when the case is charging. Ink and Slide are available for $199.99, and the Sketch and Line apps are free in the app store.